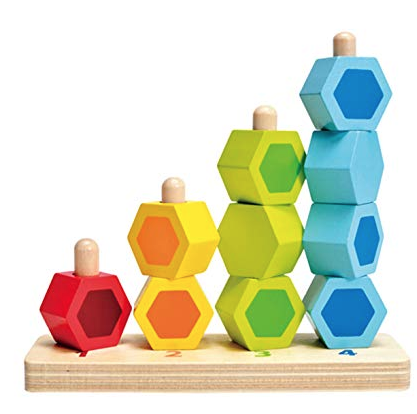 There are many teaching options and developmental benefits with this wooden stacker toy. 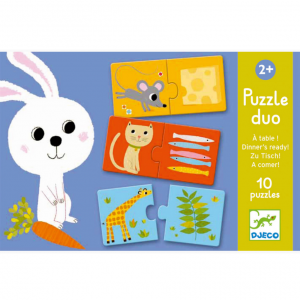 Encourage children to count the pieces as they stack. 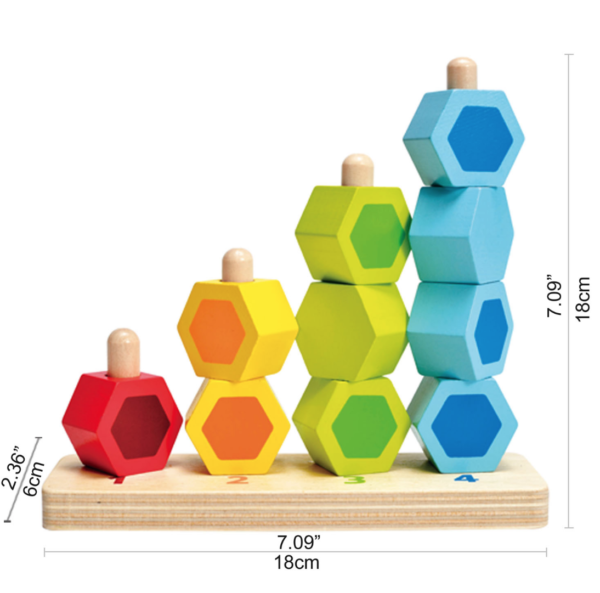 Label colours. Explore concepts such as taller and shorter/ bigger and smaller when making stacks of beads. 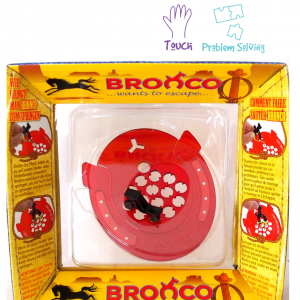 An ideal toy to support the development and observation of hand preference – encourage children to persevere with hand that they start posting with. 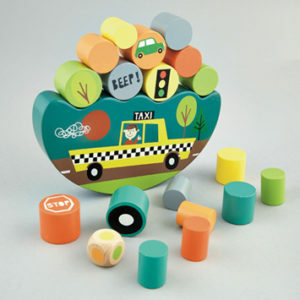 Scatter pieces around wooden frame so child is encouraged to reach across their imaginary midline. 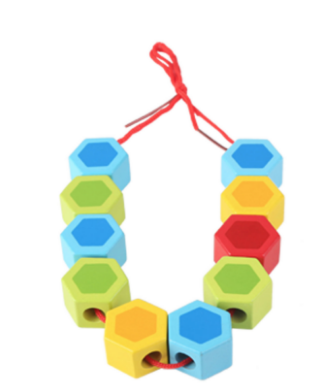 Create a threading activity: add your own wooden dowel attached to string to create a necklace or chain.